We toured a gym over the weekend. But to call this place a gym would be putting all other gyms to shame. Tennis. Two pools. A splash pad. Four exercise rooms. Two dedicated rooms for yoga. One for hot yoga. Oh, and did I mention daycare? That’s right. They have a cool kid area for kids to come hang out while their parents exercise (or, let’s be real, get a pedicure). It’s, of course, the most expensive thing on earth. But we joined, because hey daycare! Maybe Brent and I can… I don’t know, play racquetball together or something? Yesterday was the first day I went to exercise with Clara. Dropping her off was no big deal. Here are her snacks, see you in a bit, Peanut! (Although the kid zone is peanut-free, naturally, so she was the only peanut there). I dropped my things off at the world’s fanciest locker room and headed upstairs. I’d misread the schedule, so I thought there was a Vinyasa flow at 9:15. 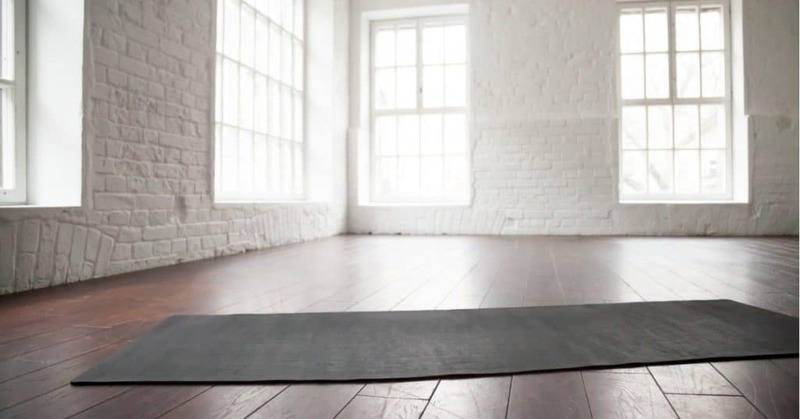 What I found instead were two options: a restorative class or a heated yoga class. Which should I have chosen? Probably restorative, since I hadn’t been to yoga in over two months. “Go for the heated class,” whispered Ego. I made it about 45 minutes through, then simply laid on the floor, like a dead fish, for the rest of class. And when I went to pick up Clara, I couldn’t hold her up very long. The next day, I was sore in places I didn’t know were muscles. I told Brent that we should have joined a crappier gym first so I could get in good enough shape to work out with the fit people at fancy gym. He laughed, said that wasn’t a thing. As we left the gym, Clara said, “bye bye play!” which I interpreted as a ringing endorsement. I’m going back today, and every day that makes sense in our schedule. And one day, I’ll be able to do all the poses in the 60 minute class.